Former Chairman of the Federal Reserve Alan Greenspan recently took part in a fascinating debate with leftist author Naomi Klein on the show &apos;Democracy Now&apos;. Having kept his mouth shut during his years with the Bush Administration, Greenspan has embarked upon a tour to promote his new book &apos;The Age of Turbulence: Adventures in a New World&apos;, that basically excuses his appalling complicity in some of the worst economic decisions in recent history. Now admitting that the war in Iraq was about oil (and having not uttered a word when he could have had an impact), Greenspan attempts to weave his way out of taking any responsibility, and spouts his usual free market nonsense in the hope that people will still take him seriously. In one part, Greenspan outrageously states that &apos;populist&apos; movements in Latin America during the 70&apos;s and 80&apos;s "gripped...many Latin American countries to their detriment", conveniently omitting the devastating effects of the IMF in the years after, and the numerous CIA backed coups that undermined socialist movements in the region. "There is something that I was quite interested in in your book, which was your definition of corruption and crony capitalism. You said, “When a government&apos;s leaders or businesses routinely seek out private sector individuals or businesses and, in exchange for political support, bestow favors on them, the society is said to be in the grip of crony capitalism.” You say, “The favors generally take the form of monopoly access to certain markets, preferred access to sales of government assets, and special access to those in power.” I kept thinking about Halliburton, Blackwater, Lockheed and Boeing. You were referring to Indonesia at the time..."
Greenspan&apos;s record and reputation are in tatters, and his futile attempt to excuse himself essentially collapses when challenged. It&apos;s a very insightful debate, and well worth reading the whole transcript. Click here to check it out. 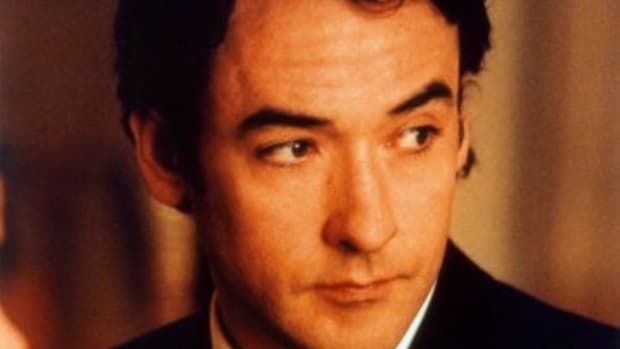 John Cusack and Naomi Klein continued.